Pasadena native Robert Cartwright proved he was a winner when he helped Flintridge Prep capture the CIF Southern Section Division 5AA championship in 2011 as a freshman, and he continues to show that on one of the largest stages in sports. Cartwright recently led the UC Irvine men’s basketball program to a historic season with 31 victories and its first-ever NCAA Tournament win. The squad also put together a 17-game winning streak, the longest in program history. The Flintridge Prep varsity boys’ golf team defeated Maranatha High School, 223-232, in a nonleague contest at the Altadena Golf Course last week. The rivalry game between Flintridge Prep and Polytechnic was close early on, but Panthers Franco Alonso, Robby Wilson, Trent Steele and Jason Mayo broke the game open and led their squad to a 15-7 victory in a Prep League contest at the Glendale Sports Complex last Friday. 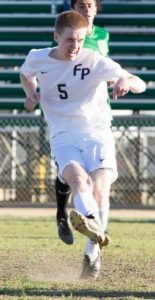 Flintridge Prep senior Spencer Harris made the All-CIF Division 6 boys’ soccer first team after helping the Rebels win a Prep League title. 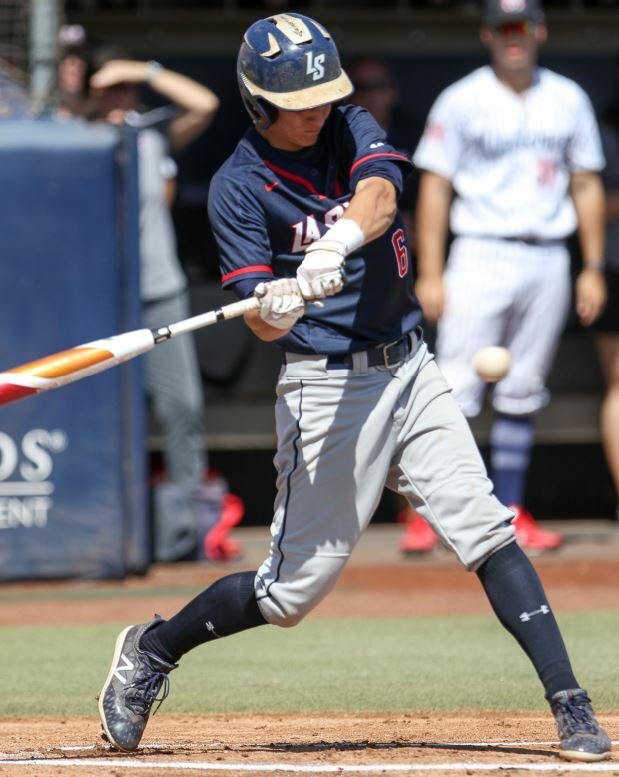 The CIF Southern Section released its All-CIF honors list on Monday and it included athletes from Flintridge Prep, Polytechnic, La Salle, Maranatha, Westridge, Flintridge Sacred Heart and St. Francis. Five Rebels were recognized by CIF-SS in three winter sports. Flintridge Prep junior Kaitlyn Chen made the Division 2A girls’ basketball first team after averaging 18.1 points, 8.7 rebounds, 4.3 assists and 2.7 steals per game. Boys’ soccer standouts Silas Chavez and Spencer Harris made the Division 6 first team, and Makenna Dominguez and Mikaela Celeste earned sports on the Division 2 girls’ soccer first team. Dominguez scored 36 goals and recorded 35 assists in 23 matches, and Celeste scored 28 and finished with a team-high 43 assists. 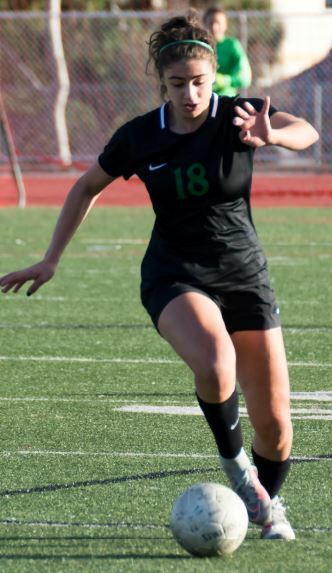 Sophie Markarem earned a spot on the Division 5 girls’ soccer first team after helping Westridge reach the CIF-SS title match. 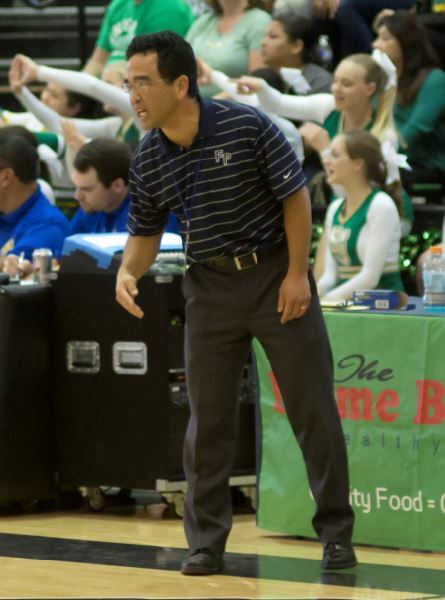 Garrett Ohara resigned as the Flintridge Prep boys’ basketball coach and will step down as athletic director this summer. 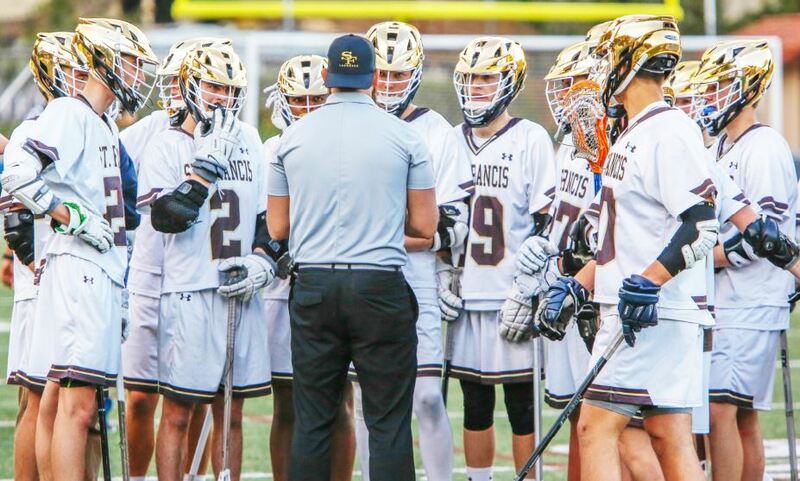 After reflecting on the most recent season and his career, Garrett Ohara decided to resign as Flintridge Prep athletic director and boys’ basketball coach. Ohara said he met with Headmaster Peter Bachmann last Monday to let him know of his decision. The longtime coach will continue his duties as athletic director until the end of the school year. Sean Beattie will transition into the role during the summer. Mark Daley scored the lone run in a 1-0 victory over Montebello Cantwell-Sacred Heart last Friday. La Salle improved to 7-2 on the season. The La Salle varsity baseball team edged visiting Montebello Cantwell-Sacred Heart, 1-0, in a Del Rey League contest last Friday. The game’s low score is reflective of it being a battle of pitchers. Sophomore Casey Spencer turned in a stellar performance for the Lancers recording eight strikeouts and surrendering only three hits. Cardinals senior pitcher Mikie Gill faced 22 batters and recorded five strikeouts and gave up five hits. The Flintridge Prep varsity boys’ golf team looks to capitalize on newfound momentum after a 3-0 start with victories over Temple City and Los Angeles Milken. 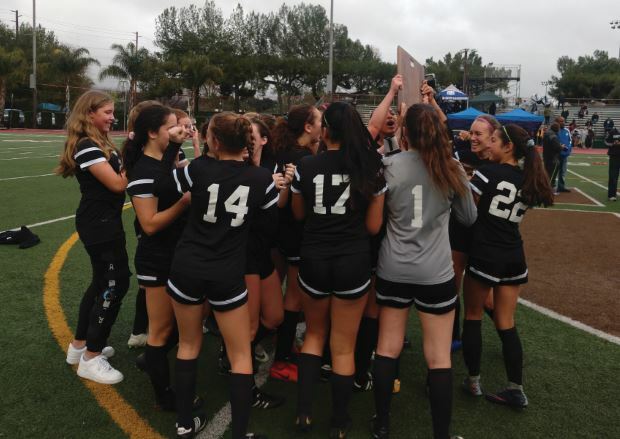 The Flintridge Sacred Heart varsity girls’ soccer team defeated visiting Culver City, 3-0, to claim its first CIF State Southern California Regional title since 2010.